Lol, I can't believe you couldn't post pics. These are fab! gingerjo wrote: Lol, I can't believe you couldn't post pics. These are fab! Santa glass is super, Tina. Love your lantern, too: which die is that? 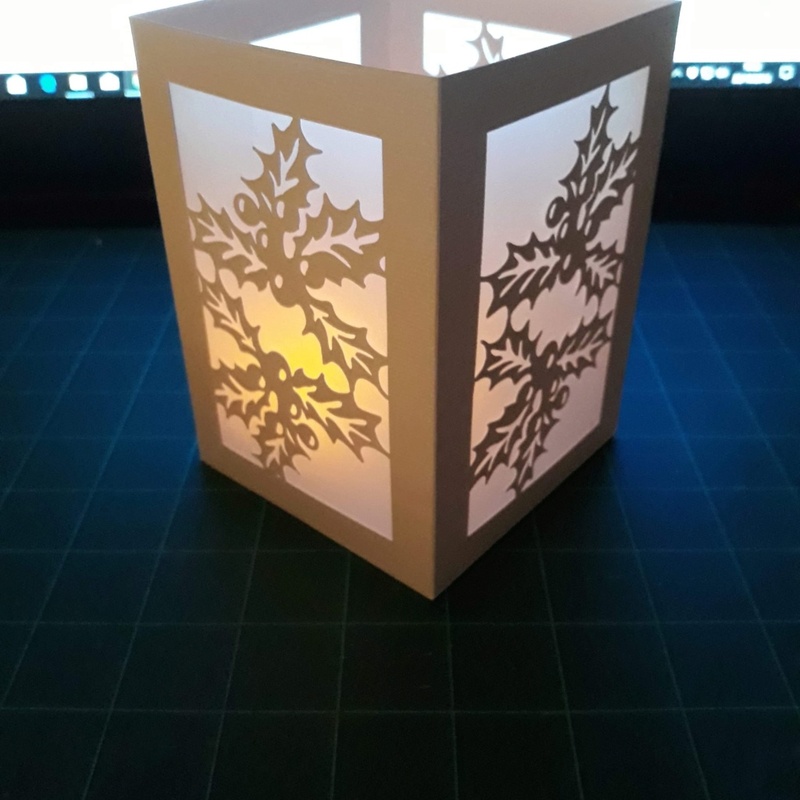 Made it in design studio on the cricut. We are going to put three or four of them in the shop window as part of our Christmas display. 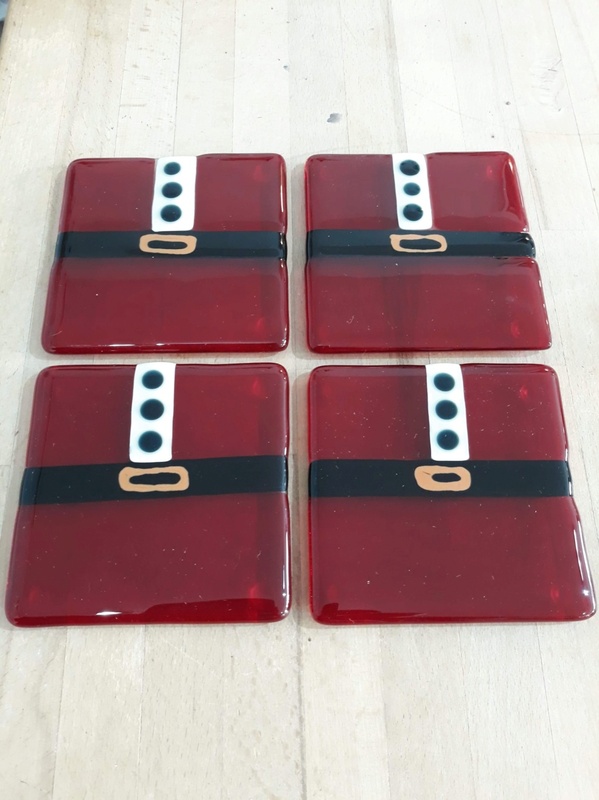 lovely to see your stuff, but of course ive got your lovely coasters here with me now... love them to bits, i love your glass work especially. Love both of those Tina. Super stuff, is Design Studio for a certain kind of cricut? thriftycrafter wrote: Super stuff, is Design Studio for a certain kind of cricut? Lovely bits, great that you are getting on so well with the glass fussing. Another post I missed. Lovely makes, those coasters are fun.